A while ago I posted about how I could do without a gym membership, and how my wife and I were cancelling our memberships to Lifetime Fitness. 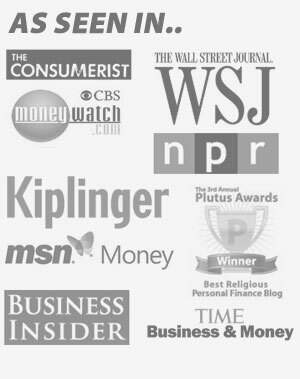 The membership was just too costly for what we were getting out of it and we felt there was a better alternative. 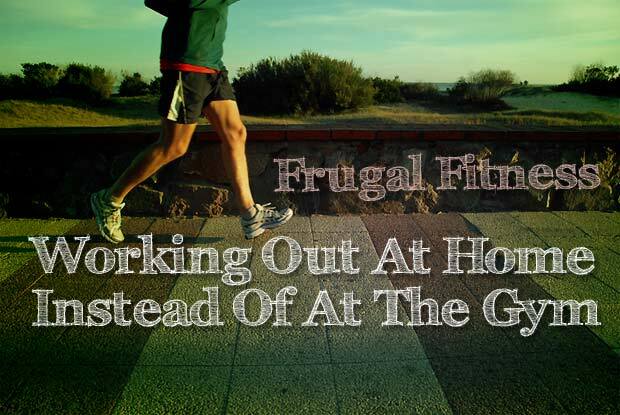 In this post I'm going to talk about why I think working out in your own home gym, or in the great outdoors can be a much better option for some folks. Getting a gym membership feels like buying a used car: Complicated signup forms, pushy salespeople, long term contracts, complicated cancellation. I'm getting a headache just thinking about it! A while back we were looking for a new gym membership, and decided to check out our local club, which belonged to a national chain. To make a long story short the salesman was very pushy, wouldn't take no for an answer, and we ended up walking out it a huff because he was so rude. Not only that but unfortunately we had given him our contact information at the beginning and he started calling us a couple times a week. Talk about a hard sell! He finally stopped calling us after I picked up the phone one night and told him to stop calling. Gym memberships are expensive: When you're signing up for a membership make sure you know about ALL the costs up front. Usually there will be a monthly membership fee, an initiation fee and an administrative fee. Some clubs will even require you to pay for 2 or 3 months up front when you sign up. So you could be talking about 4-500 dollars you have to pay when you first sign up at the club. What a rip-off! Not only that but we've heard a lot of horror stories about gym fees being taken from people's accounts even after they've cancelled. Be very careful about this, and make sure you read all the fine print on your contract! You don't have to deal with fitness club meat market: Some clubs are worse than others, but almost always you'll have a bunch of these people – you've seen them. The preening body builders, inappropriate ladies with their barely there outfits. The guys and girls with the spray on tans who can't stop looking at themselves in the mirror. This isn't the type of atmosphere I enjoy working out it. No built in “I don't feel like going to the gym” excuse when you workout at home: I know I've done this more times than I could count. You get off work, you've had a long day and you just decide that you're not going to drive out of your way on the way home to go to the gym. It's just too far, and you're too tired. Maybe tomorrow night you'll make it. One night off turns into 5, and then you end up only going to the gym one night of the week. I've found that when I work out at home I'm much more likely to do it because I'm already at the “gym”. I just change into workout clothes and walk into the next room to workout. Easy. Working out at home is cheaper: Once you've made the initial investment of a set of weights and some type of aerobic equipment, it wont' cost you anything to workout at home. 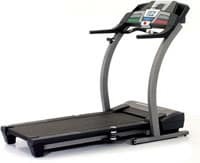 Granted it can be expensive to buy that fitness equipment up front, but you can find some very nice used equipment on sites like Craigslist.com or ebay.com. Also in many cities there are stores for second hand fitness equipment like 2nd Wind Excercise Equipment, but I've found tht they often tend to be a bit overpriced. You may have better luck with them than I have. Working out at home allows you to do a wider range of workouts: This one may be more personal, but I've found that working out at home I'm more apt to do a wider range of workouts including workout videos, cross training, different weights routines, biking, running, etc etc. I've found when I go to the gym I tend to do the same thing every time I go. Because I'm changing it up so often at home, I tend not to get as bored as quickly, and I'm more likely to workout because of it. So there are some of the reasons why I think working out at home is a great idea. Check and see if you can get reimbursed by insurance: Many health insurance companies will reimburse you for part of the cost of a gym membership if you go to the gym at least 10-12 times a month. When we were members of a local fitness center we received $40 off our couple's membership a month through our health insurance provider. Make sure you ask about this up front when buying your membership. Check out local city and park district community centers: Our local city rec center offers a great workout facility and track for about $25 a month. The facilities are nice, and it is hardly ever busy. Local YMCA and YWCA centers also offer a cheaper alternative. Shop around for the best price: In our local area we have a large number of gym choices, and the prices will vary widely from place to place. You can end up paying anywhere from $25 to $75 for a membership. Look for the best deals when signing up so you don't have to pay initiation fees and other miscellaneous fees. Use a site like RetailMeNot.com to find the best deal on a gym membership. Make sure you use the membership you're paying for: If you do end up joining a gym, make sure you use the membership you're paying for. If you find you don't get to the gym very often, consider cancelling your membership. Beware of early cancellation fees, however, because many gyms will have this written into their contracts, and many won't allow you to cancel at all until the term ends, you die, or you move to a city far away where they don't have any locations within 50 miles. Thanks Peter as your post will definitely act as a eye-opener for many who have gym membership or those you’re looking for the same.I agree that home workout sessions will be more productive and save time and money as well.